As of March 18, Moose Mountain is closed for the spring 2019 season due to sustained record high temperatures that are swiftly baring the slopes and muddying the road. 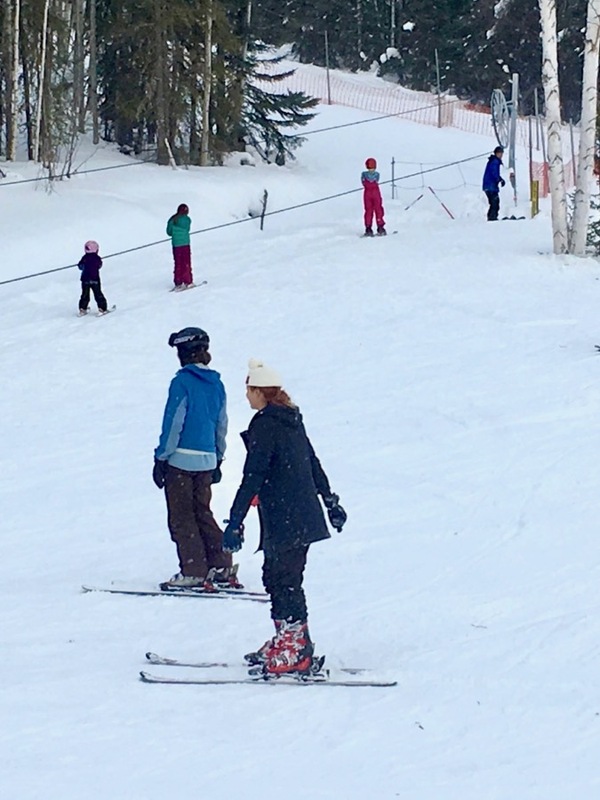 Moose Mountain Ski Resort will be open Fridays, Saturdays and Sundays, depending on temperatures. Weather permitting, we will be open extra days over Christmas and Spring Breaks, most school and national holidays. We are closed on Christmas Day. Check our Calendar for extra openings and the Moose Mountain Report for conditions and possible cold weather closures. Opening and closing hours vary with the daylight, so check our Facebook page at https://www.facebook.com/shredthemoose or call 459-8132 for ski bus times. November through February: 10 a.m. – 4 p.m. except winter solstice period when we close by 3 p.m. due to darkness. March/April: 11 a.m. to 5 p.m. Remember, for other special openings and more information, the news comes first to the ski report, 459-8132, or check out the Moose Mountain page on Facebook.